While developing applications, developers often face the challenge of retrieving data from more than one external sources. Traditional multi-threaded programming can be often complex and hard to get right. Prior to .Net 4.5, asynchronous controllers used to inherit from the AsyncController class for Async support. However with the introduction of async and await keywords in .Net 4.5, MVC 4 Controllers now fully support async Action methods. More in Task based WCF Services in .NET 4.5. In ASP.NET MVC 4, when we target the project to .NET 4.5 we can easily make async parallel calls to external WCF services. Step 2: Open WCF_Radiology. In the IService1.cs, add the following Service Contract and Data Contract. The above code defines ‘RadiologyDetails’ data contract. The Service Contract, IRadiology defines an operation contract ‘GetDetails’ which has the [WebGet] attribute. This implies that this is a WCF REST service which will expose data in the form of XML. Step 3: Rename Service1.svc to Radiology.Svc, and implement the class as shown below in Radiology.svc.cs. <%@ ServiceHost Language="C#" Debug="true" Service="WCF_Radiology.Radiology" CodeBehind="Radiology.svc.cs"
You should get the data in the form of XML. The above Service Contract, Operation contract and Data Contract defines the details for Pathology. <%@ ServiceHost Language="C#" Debug="true" Service="WCF_Pathology.Pathology" CodeBehind="Pathology.svc.cs"
The above code specifies the details for IPD. <%@ ServiceHost Language="C#" Debug="true" Service="WCF_IPD.IPD" CodeBehind="IPD.svc.cs"
This completes the WCF Service creations, you can also host them on IIS web server. Now it’s time for us to add a new MVC 4.0 application targeted to .NET 4.5. Step 1: In the same solution, add a new MVC 4 application targeting .NET 4.5, name it as ‘MVC40_Medical_App’. 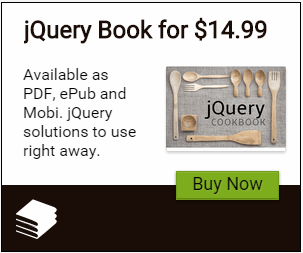 Select the ‘Empty’ MVC project template. //This is Executed when all the Asynchronous Calls are completed. The Index Action method is very interesting here. The first thing is, it is an async method and the return type is Task<ActionResult>. This indicates that, the method performs Task based asynchronous operations which returns value. To make parallel asynchronous calls to the above created external WCF services, the WebClient class is used. The DownloadStringTaskAsync() method downloads the resource as a string from the URI specified as an asynchronous operation using task object. Here in the code, each received Task object is added into the List<Task> object declared into the beginning of the method. There are 3 parallel asynchronous calls made to the external services. Now after parallel calls are completed, to process the data, the Task.WhenAll() method is used. This is executed when all asynchronous call are completed. The return values i.e. Task object from each call is then passed to this method so that the data can be further processed. The rest of the code of this method reads the Task result from each index of the List<Task> object and using LINQ to XML, the Xml response is stored into the List of the Model classes we created in MVC project Step 2. This data is now passed to view using ViewBag object. The above code makes use of WebGrid helper method to which the ViewBag object defined in the controller is passed. While developing WEB Applications, when you have a requirement to retrieve data from multiple services at the same time, then it is a good idea to use Asynchronous action methods in .NET 4.5. This will make your code less complex and easy to maintain. 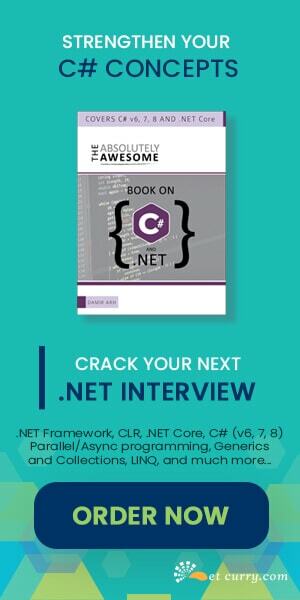 good article..can you suggest or give me some code to find backlinks to my site in asp.net(C#). Really informative. This will be quite useful when building travel portal application using multiple GDS.